James Anderson’s feat was good enough to take away a bit of limelight from Alastair Cook. 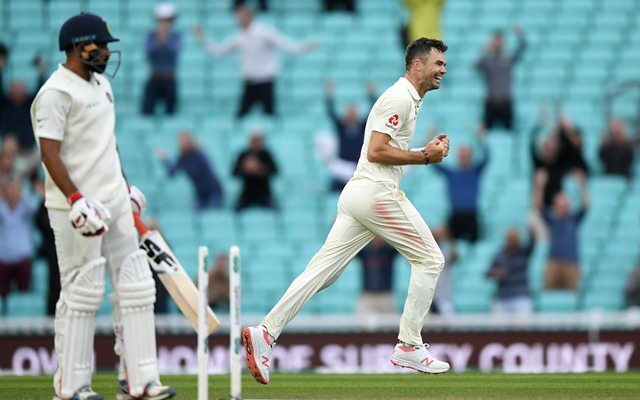 James Anderson became the most prolific fast bowler in the history of the Test cricket as he surpassed Glenn McGrath’s tally of 563 wickets right at the end of the last of the 5-match home Test series against India at The Oval. 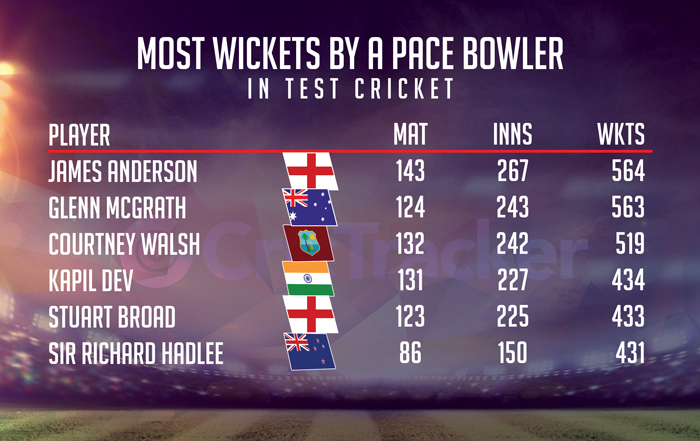 Anderson’s feat of becoming the highest-wicket taker among fast bowlers was good enough to take away a bit of limelight from the game that was marked to be Alastair Cook’s last Test. The England opener finished his Test career as the 5th highest run-getter and highest among left-handers. The 36-year-old levelled with McGrath with a couple of wickets in the final minutes on the 4th day’s play. He cleaned up Mohammed Shami in the 14th over of his spell that spread across 2nd and 3rd session to wrap up the game. Coincidently, James Anderson was the last of McGrath’s 563 wickets in Test cricket which the Australian took in his final Test match in 2007 in Sydney. 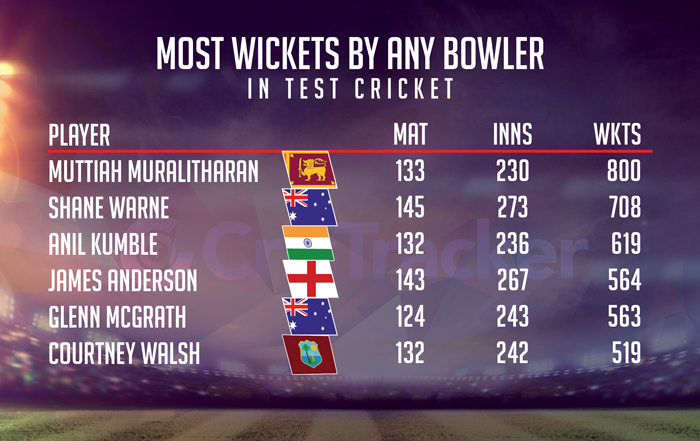 After going past McGrath, Anderson is now at No.4 in the list of leading wicket-takers in Test cricket. The England pacers’ next target will be Indian leg-spinner Anil Kumble who has 619 wickets to his name. The likes of Muttiah Muralitharan and Shane Warne occupy the first two spots with 800 and 708 wickets respectively and are definitely safe where they sit. Anderson didn’t make greatest of starts to his Test career conceding as many as 17 runs in his first over in this format against Zimbabwe back in 2003. His partner in crime, Stuart Broad has claimed 433 wickets in his career and surpassed Sir Richard Hadlee’s 431 wickets tally during this game. Broad is now the 5th most successful wicket-taker among fast bowlers and two more wickets will put him on 4th place ahead of Kapil Dev who claimed 434 wickets. Anderson and Broad are the only players to take 400 and more wickets in Test cricket while playing for England.